What do I need to do if someone knows my login credentials? Please call our support team immediately to block your login credentials and to discuss what to do next. For the use of Online Banking, you do not pay a basic fee. You pay only the applicable subscription and connection charges to your internet provider. Please note: Any account or safekeeping account fees are not included. What are the requirements for using Online Banking? You can order, complete, and send the contract at this link: For private clients (or: Online and Mobile Banking Application PDF (607 KB) and for corporate clients. The password can be changed under "More > Settings." However, if you have forgotten your password or there is an error, please contact the Online Banking hotline. To create a secure password, please follow these instructions. I have forgotten my password for logging on to Credit Suisse Direct. How do I get a new password? You can request a new password on the login page of Credit Suisse Direct or the app. An existing user ID is required. The password will be sent within two to three business days by post. What do I need to do after ordering a new password? The new password will be sent within two to three business days by post. As soon as you have received the new password, log in with your user ID and the new password. You can then set another password of your choosing. What can I do if an error message prevents me from ordering a password for Credit Suisse Direct? If an error message appears when ordering the password, start by checking if you have entered all the information correctly. If the error message appears again, contact our Online Banking Support. Where can I find information on security in Online & Mobile Banking? At www.credit-suisse.com/security you will find current security information including a link to www.ebankingabersicher.ch, where you will find numerous recommendations for high security in Online & Mobile Banking. I entered my user ID and password, but did not get a text message code. What should I do? You may have entered an incorrect password during login. The User ID entered may also be incorrect. Also check your mobile phone's network connection, etc. Your network provider may have general problems. Try turning your mobile phone off and on again. I have a new mobile phone number. Where can I change it for my login? For security reasons, if you wish to register a new mobile phone number, please contact the Online Banking Hotline. Where can I find information on SecureSign? Information on SecureSign can be found on our SecureSign website and in the SecureSign FAQ. Where can I find further information in Online & Mobile Banking? You will find additional information on the website. You can also find many useful tips on security in online and mobile banking at www.ebas.ch. Why do I see a bell icon with a number in the top right-hand corner? By selecting the icon, you can see which type of notification you have received. Click on an item to go directly to the detailed information. How can I select what information is displayed on the first page after logging in? You can change many settings in Credit Suisse Direct. To do so, select the settings icon (gear wheel) at the top right. You can choose to view or hide individual elements. For some elements, you can also determine which accounts / securities safekeeping accounts are displayed, as well as choose where they are placed on your screen. The settings you select will apply until the next time you change them. The settings you choose apply separately to the smartphone, tablet, and computer/browser versions. As of November 20, 2016, Credit Suisse (Switzerland) Ltd. is a legally independent bank. Since then, all payments from Credit Suisse (Switzerland) Ltd. to Credit Suisse AG or Neue Aargauer Bank and vice versa have been executed as domestic payments in line with normal market practices. Our existing value-dating provisions and conditions apply to these payments. Where can I find the IBAN, BIC/SWIFT, or clearing number for one of my accounts? The IBAN can be found under the accounts overview; under "Assets > Accounts" you will see your accounts incl. IBAN. For additional information such as BIC, account number, or clearing number, you must click on the desired account and then on the info-icon next to the amount. You will then see all information for this account. How do I create payments? Credit Suisse provides you with a list of recipients to whom you made a payment in the past 15 months. By selecting a recipient, you will see the corresponding payment type and all information from the last payment. This information can be adjusted and used for a new payment. You can also make payments to new recipients who are not on the list. Once you enter the recipient's IBAN or account number in the box, you will be directed to the relevant payment type. The relevant data of the beneficiary's bank and the beneficiary will be filled in to the extent possible. What does the star mean in the "Enter Payments" area? You can bookmark recipients. By activating the star, the recipient is moved to the top of the list. This way, you will always see the most important recipients first. Can I delete recipient information in the "Enter Payments" area? Yes, you can delete recipients and decide which information should be shown. Once data is deleted, it cannot be recovered. To keep the list up to date, recipient information that you have not used in the last 15 months will be deleted automatically. Can I still use my scanner (such as PayPen)? Yes, you can also use your scanner in Credit Suisse Direct. You can either enter a payment directly on the start page or by navigating to "Payment > Enter". Click on the data entry field, then scan the encoding line of the payment slip with your scanner before selecting “Orange payment slip" from the payment assistant. The account and the reference number will be transferred. The amount will also be transferred if it appears on the payment slip. Select the account to be debited, and click "Confirm" to complete the payment. How can I sign up for e-bills or register with additional billers? To sign up for e-bills, please use our Online Banking or the Credit Suisse Direct app on a tablet. You may also choose other billers there. You can see bills and details, and approve bills, in the smartphone version. Provisional entries are advance notices of items that have not yet been finally posted, and can therefore still be changed. However, since these provisional entries also affect the balance, provisional cash receipts can also be obtained at ATMs. Why don't I see any details for incoming payments? If you find a transaction on your account with the text "Payments" and "Global credit according to separate display," your account is set up to summarize transactions of the same type. If you want to change this and see a separate transaction for each individual credit (including information about the sender), please contact client care. Which standing orders can I find in Online Banking? Online Banking allows you to view, modify, or delete all standing orders that you have set up in Online Banking or by post or form. How do I set up a new standing order? One way is to directly enter a payment on the start page using the payment assistant. Just provide the details of the payment recipient. On the details page of the payment entry, you can choose between one-time payment and standing order at the top right. During the entry process, you can switch from one-time payment to standing order without losing the data you have already entered. Another way is to enter a new payment or standing order by going to "Payment > Enter". Up to what point can I issue and change/delete a payment order in Online Banking? Account transfers can be issued up to 9:00 p.m. on the day of execution free of charge. Individual payments and bulk orders as DTA or XML file for same-day execution can be issued free of charge until 12:00 p.m. on the day of execution and subject to a charge by "Express" order from 12:00 p.m. to 4:00 p.m. All same-day payment orders that are issued can no longer be modified or deleted. Cut-off times PDF (250 KB). Future payment orders for single execution can normally be modified or canceled usually before midnight on the day before execution. Please note the corresponding confirmation texts for payment execution. Standing orders are generally processed after approximately 5:00 p.m. one or two bank working days before the requested execution date (depending on the currency as well as working days, weekends, and public holidays). You cannot make any changes or cancellations during this processing. After processing, you can modify or cancel a standing order only for the next execution date. How do I modify or cancel a payment? Payments issued through Online Banking can be modified or canceled directly in the "Manage payments" menu item. Can I make a transfer from my Savings account? You may take money out of your Savings account through Online Banking only if you are transferring funds internally to a different account. The account being credited must be included in the same Online Banking contract. How much does a domestic or foreign payment cost? What important things do I need to remember when making international payments within the EU and EEA? Use the euro (EUR) when performing transactions in the EU and EEA. I would like to examine the details of an old payment that I issued through Online Banking. What do I need to do? Payments made can be seen in Online Banking for 45 days under "Manage payments". The details of all payments older than that can be requested from your client advisor or the client services team. I recently paid at a gas station with my Maestro card. The amount shown as a provisional entry is for CHF 130.00 or CHF 150.00, although my purchases were for a lower amount. Why? At some gas stations, if you pay with your Maestro card, the offline limit is provisionally shown as CHF 130.00 or CHF 150.00. It may take a few days for the electronic payment to be processed in full and for the correct amount to be shown. The bank cannot expedite the correction. What is the difference between execution date and value date? "Execution date" refers to the day on which the payment order is processed. The value date is the day on which the bank begins counting interest for credit and debit items. What advantages does a BESR have? Using bank payment slips with reference numbers (BESRs) streamlines control of incoming payments and accounts receivable accounting, making it significantly easier. The procedure is based on the use of payment slips that can be read optically and include identification of the payer in the reference number in the encoding line. Credit Suisse produces a standardized credit record that can be processed automatically using commercially available accounts receivable programs. Unfortunately, if you receive a cash payment made using a red payment slip at the post office counter, we are not able to display the details directly in the transactions. Details are available at a later time as an e-document or paper record. Why can't I generate a PDF or Excel export from my entries or portfolio positions anymore? Printing/exporting is not possible at this time. We are working on a print/export solution. If you need this in the meantime, please use the classic Online Banking site. I can't find my account closing statements in Credit Suisse Direct anymore. What do I have to do? The account closing statements are available as e-documents. If you are not yet receiving e-documents, you can request them here. Is the electronic bill free of charge? The electronic bill can be used free of charge. You will incur the usual payment transaction fees for domestic payments or payments with an orange payment slip. The payment transaction conditions can be found here. What must I do to receive the bills electronically? How long are my electronic bills available in Online Banking? Your bills are available to you for a maximum of three months after payment. We recommend that you save a copy of your bills yourself. Who has access to the e-bills? Can I change my billing address myself? E-bills are available to all clients domiciled in Switzerland. Address information can be changed under "Payments," "E-bills," "Administration" > "Profile." Please report name changes by telephone using the Online Banking hotline. What do I have to do to receive paper bills again? Register with the corresponding biller in Online Banking. You will then receive their bills in paper format again. What is the difference between a portfolio and a safekeeping account? The portfolio shows safekeeping account positions and the assigned accounts (including precious metals and money market accounts), forward transactions, and options for precious metals and foreign exchange. The safekeeping account shows you only the positions with a Swiss Security Number / ISIN. Under Portfolio/Safekeeping Account, you can choose whether you want to see/analyze the full portfolio or just the safekeeping account positions included. To do this, choose the option "Display safekeeping account positions only" and then recalculate. To make changes to the portfolio elements, please contact your client service team. Why do I sometimes see different balances under Portfolio/Safekeeping Account and in the account? The account balance display in the portfolio shows the balance information as of today / the settlement date. The account list and the general overview also show entries with future booking dates and provisional entries. This can result in different account balances in different areas. However, by looking at the entries in each account, you can easily see which entries resulted in which account balance. How can I access the portfolio, if I can only see the safekeeping account? Please contact your relationship manager. He or she will be able to activate your authorization. What price is used to translate foreign currency positions? Either the current average price (real-time view) or the average price on the evening of the chosen valuation date is used for the valuation. A valuation takes place every evening from Monday to Friday as part of the end-of-day processing. The historical prices at the weekend correspond to the final prices on Friday, except when it is the end of a month. If it is the end of a month (last day), a valuation is always made additionally as part of end-of-day processing. How can I order an investment report online? You can select the portfolio you want under "Assets > Portfolio." On the itemized page for this portfolio, choose "Order report" from the top right corner. Then select "Submit order" from the pop-up window. The investment report will either be sent to the account holder's mailing address on file with the bank on the next business day, or sent as an e-document a few minutes later. Where can I check the current value of my securities in the portfolio / safekeeping account? You can see the most recent values by choosing "Real-time positions" and recalculating. The selected option will be saved for future use in each portfolio / safekeeping account. Depending on the security, the values shown are real-time, delayed, from the previous day, or older. Depending on the location of the stock exchange where the security is traded, pre-market prices can be displayed outside the corresponding trading hours. You can see the source of the price and the delay by moving the mouse over the "Last Price" or "Price" field. The information is also available in the detailed pop-up window. What information can I find in "Asset Allocation"? "Asset Allocation" shows the asset categories and currencies in which the portfolio assets or safekeeping account assets are invested. What information can I find under "Sector Analysis"? Sector analysis and the analysis by debtor category shown on this page tell you in which sectors the assets are invested, or in which debtor categories the par value of the portfolio / safekeeping account is invested. What information can I find in the "Country Analysis"? The country analysis shows the countries in which the portfolio assets or safekeeping account assets are invested. What information can I find in the "Maturity Analysis"? The maturity analysis indicates when the nominal values are likely to mature. A distinction is made between maturities of more than or less than one year. On this page, you can also see the anticipated income (e.g. expected dividend payments), if you use the maturity analysis with real-time valuation (select valuation type under the Positions menu item). Why can I not trade a fund using Online Banking even though it is in my safekeeping account? Regulatory reasons prevent us from offering and providing details of all funds on the internet. Please contact your client advisor for more information. What do different types of orders mean? Market order: A market order is performed at the best possible bid or ask price in the order book when the order is received. Limit order: With a limit order, the client defines the purchase or sale price for the securities. On-stop order: As soon as the trigger price is reached, a stop limit order becomes a normal limit order. An on-stop order is a purchase order, which must be executed immediately once the security reaches a certain price level. As soon as the trigger price is reached, the market order is executed. Stop-loss order: A stop-loss order is a limited sell order. As soon as the trigger price is reached, the order is converted into a market order and executed at the next best price. Stop limit order: As soon as the trigger price is reached, a stop limit order becomes a normal limit order. Can securities orders for investment funds be input with a limit? It is possible to enter a limit for investment funds that are processed on the secondary market (official trading on the stock market). It is not possible to enter a limit for investment funds that are processed on the primary market (bought/sold from an issue or redemption). By when do I have to issue an order for an investment fund in the primary market? Each fund has its own daily time limit (cut-off time for sending orders) depending on the market and processing. The time limits for order entry are shown in Fund Lab (credit-suisse.com/fundlab) under "Trading Information". Which types of securities can be traded using Online Banking? What does a securities order cost? The cost of a securities order varies according to the volume, stock exchange, and type of security. You will find an overview of prices in the "Conditions for Investment Transactions" PDF (212 KB). E-documents are digitally signed bank documents in electronic form. They are identical to the paper versions. You can receive your banking receipts and documents electronically as PDFs in your Online Banking. This allows you to easily save, copy, or forward the receipts. By using less paper, you are doing your part to protect the environment. What are the advantages of e-documents? How long are e-documents available in the document box? If not deleted by the user, documents remain for three years in the document box in Online Banking. Clients are personally responsible for complying with legal safekeeping requirements. How can I access my document box? You can use the icon on the welcome page (bell) to immediately see whether new e-documents are available and access them directly. You can also access e-documents by going to "More > E-documents" in your e-document box. How can I view/download only the unopened documents? Select the magnifying glass icon on the e-documents page. Alongside other search criteria, you will see the "unopened documents” option. Select this and any other search criteria you want, and run the search. You will then be able to view and/or download the desired documents. What happens to my e-documents if the Online Banking contract is canceled? If the contract is canceled, then all documents will only be sent by post. All unopened records of the previous 30 days will also be sent by post. Unopened records older than 30 days will not be printed. Clients should save or print older records. Which services are included in the "Product Offering" section? In the "Product Offering" section, you will find a number of online applications for Credit Suisse products. You can use them to apply, for instance, for one of our Bonviva Banking Packages, a new savings account, or a 3rd pillar pension account from the comfort of your home. Where can I see the credit cards online? Under "Assets > Cards" you can find information on your Bonviva credit cards online. Which credit cards appear in Online Banking? Which details are shown? At present, Online Banking shows Bonviva credit cards, meaning those that belong to a Bonviva Platinum, Bonviva Gold, or Bonviva Silver Package. The principal cardholder can see their primary card and all related additional cards, including the transactions, in Online Banking. At this time, additional cardholders cannot access their additional cards in Online Banking. Please ensure that you are the principal cardholder. Are my credit card transactions displayed? Yes, all transactions on your Bonviva credit cards are displayed via Credit Suisse Direct app. You can select individual entries and have additional details displayed. How can I view transactions for more than one credit card at once? From the transactions page, select the magnifying glass icon. You can select all credit cards and the card account, for instance, and run a search. The search results will show you the desired entries on one page. Why can't I see the available limit on my cards? We can show you the transactions with a one- or two-day delay only. For more current information, go to cardservice (credit-suisse.com/cardservice) or the cardservice app. When can I see my transactions in Online Banking? All transactions performed today can be seen in Online Banking in two working days. If I need to block a card while traveling, what should I do? You can find the emergency phone numbers for your Maestro card and credit cards at: More → Contacts & Support. Can I change the country settings for my Maestro card? Yes, you can find this option if you are logged on at: More → Settings. What does the country setting function mean, and why should I change this? A major risk sometimes faced by card users is skimming, or the copying of card data at manipulated ATMs and fraudulent cash withdrawals. The cash is usually withdrawn in countries where the security standards for ATMs are poor. You can therefore select your own country settings in Online Banking. You decide in which countries your Maestro card should be blocked or authorized and thereby limit the potential for fraud. Country settings for Maestro cards: Where can I adjust the country settings for my Maestro card? You can adjust the country settings for your Maestro card under "More > Settings”. Are there restrictions on the choice of countries? Yes, the following countries are not included in the list of countries: Iran, Syria, Cuba, Myanmar, Sudan, and North Korea. These countries have no acceptance points for Maestro cards and are therefore not included in the list of options for country settings. Where can I find my mortgage overview? The mortgage overview can be found under "Mortgages" in the "Portfolio" menu item. Which products, including the possible term, can be arranged for online? For other terms, please contact your client advisor. Are conversions possible with a renewal? For the time being, only a conversion from a Fix to a Forward fix mortgage (or vice versa) is possible. How can a Flex rollover mortgage be extended? The Flex rollover mortgage can only be extended to the end of the framework term. For extensions, the new framework term (1–3 years) and the standard tranche term for the entire framework term (1, 2, 3, 6, 12 months) can be chosen. Where can I see the mortgage interest rate forecasts? The mortgage interest rate forecasts of our experts can be found under the "Define term and interest rate" tab. What is the composition of the online interest rate? Your online interest rate is tailored to your personal client profile. Which amortization details can be found on the mortgage page? You will find information on your regular direct repayments. Will the mortgage amount be transferred automatically from the extended mortgage? Yes, the amount is automatically taken over by the extended mortgage and may not be adjusted. All future repayments are already taken into account. If you wish to make an adjustment, please contact your client advisor. Will my repayments of my old mortgage be transferred to the new mortgage? Yes, all amortization details will be transferred. If you would like to make a change to the amortization, please contact your client advisor. What happens when you click on "Conclude extension"? Once you click on "Conclude extension" and the confirmation of your mortgage extension appears on the screen ("Thank you for your mortgage extension"), a binding product agreement is concluded between the borrower and the bank. Can the online extension be reversed? The online extension is binding. For premature repayment before the end of the agreed term or the overall term, there may be a lump-sum penalty for administration and expenses, plus a substantial early repayment penalty (see the detailed rules in the applicable framework agreement for mortgage-backed credits). How do you identify mortgages that have already been extended in the mortgage overview? In the comments, you will see the note "Extended". Why don’t I see the option to extend in Online Banking? a. Your current mortgage cannot yet be extended. Depending on the product, an extension is possible up to a maximum of 24 months in advance. b. We review the framework conditions and possibility of an online extension for you and provide you with a corresponding selection in Online Banking. Can an authorized representative extend my mortgage? No, only the borrower in person can extend mortgages online. What is the procedure for a joint banking relationship? Only co-owners of a joint banking relationship who have sole signatory authority can extend mortgages online. Co-owners of a joint banking relationship with only joint signatory authority are not permitted to extend mortgages online. Why can't I see my mortgage overview in Online Banking? It is possible that the client relationship on which the mortgage runs has not been activated in your Online Banking Agreement. Please contact your relationship manager to make the adjustment. How do I access market data in Credit Suisse Direct? After Online Banking logging on, access Market Data under the menu item labeled "Market Data & Research." Using the mobile phone and tablet app, immediately upon logging on -> On the login screen, please click on the burger icon (three lines) in the upper left, and then select the "Market Data" menu item. After logging in using the mobile phone and tablet app, access the data under the "Market Data & Research" menu item. You can also continue to access market data through Classic Online Banking in parallel with Credit Suisse Direct. What does the Market Data section of the new Credit Suisse Direct offer? The market data solution in the new Credit Suisse Direct provides a quick and simple overview of relevant markets, indices, currencies, commodities, precious metals, news, and financial instrument prices via online, tablet, and mobile banking. Furthermore, the detail pages for the indices and individual financial instruments (e.g. equities, currencies, commodities, bonds, etc.) contain additional information such as charts, performance, tops/flops, KPIs, and news. The new market data does not encompass the same information as previously offered under Direct Net. The data offered may vary in terms of financial instruments or financial information. This is the reason why Classic Online Banking and its market data solution will remain available in parallel for some time. What does the world map offer? The world map provides a quick visual overview of the situation of the most important equity markets around the globe or specifically in the regions of Europe, America, and Asia. If you select one of the active countries with your mouse, a chart of that country's index (e.g. the SMI in Switzerland) will be displayed. By clicking on the country, you will be shown more index details. How do I find markets and indices? Market data on the individual primary markets and indices available for each country can either be displayed and clicked on via the world map on the market data overview page or viewed in the menu under "Markets" together with other secondary indices. If you select an index, you will be shown additional information on that index, such as a chart, tops/flops, performance, and – for select indices – the associated equities in the list of securities. Why can't I find the financial instruments I am looking for? There may be a number of reasons for that. The instrument/market/index is not activated in our system and therefore not displayed. Applicable regulations prevent us from showing the instrument/market/index online. The market data universe offered through the new Credit Suisse Direct will be developed gradually and differs from the old market data universe in Direct Net. Please contact your Relationship Manager for more information, or perform a search using the Classic Online Banking. What are ISINs and Swiss Security Numbers? Within the market data, you will see various abbreviations used to identify financial instruments. ISIN: ISIN is the abbreviation for "International Securities Identification Number." This internationally used abbreviation (alphanumeric) is used to identify a financial instrument anywhere in the world. Many financial instruments can be searched for (via online search, for example) and found based on their ISIN. Swiss Security Number: The Swiss Security Number ("Valorennummer" in German) is the number used mainly in Switzerland to identify financial instruments. Why do we see only precious metals under "Commodities"? At present, the commodities listed in Credit Suisse Direct consist of precious metals. However, we are working to expand our offering gradually over time. As an alternative, or if need be, we still offer additional information on commodities in Classic Online Banking. Where can I find the watchlist and the notifications? The watchlist is currently available only in the mobile/tablet version of Credit Suisse Direct. Alerts/notifications are not offered for the watchlist. This issue is currently undergoing further development. However, a client can use the watchlist or virtual portfolio, including the alert functions (SMS/email) in the current Online Banking system. (Sender of the alert emails: direct@credit-suisse.com, or +00 000 as SMS sender). The watchlist function is currently offered exclusively in the Credit Suisse Direct mobile phone and tablet app. You will find the publicly available watchlist (prior to logging in) in the app by clicking on the burger icon in the upper left and selecting "Market Data" and "Watchlist" or in the secure area (after logging in). There, you can create one or more watchlists. To transfer securities to a watchlist, click the "Watchlist" button on the detail page of the security under "Market Data," and enter the number of equities and the purchase price. Then save them under your chosen watchlist. The watchlist is stored directly on your device. This function is currently not available in Credit Suisse Direct online banking. If necessary, please use this function directly in Classic Online Banking. Where do I find a currency converter? The currency converter is currently offered exclusively in the Credit Suisse Direct mobile phone and tablet app. You will find the publicly available currency converter (prior to logging in) by clicking on the burger icon in the upper left and selecting "Market Data" and "Currency Converter" or in the secure area (after logging in) by clicking on the currency converter under "Market Data & Research." Then, please select the input currency (e.g. CHF), which will be converted to the currencies indicated (e.g. EUR, USD, GBP, etc.). Research (also called Investment Strategy) is a multifaceted range of information offered through online and tablet banking, with Credit Suisse experts making publications, recommendations, and economic information available to clients free of charge. What is included in the Research offering? The range of analyses encompasses daily, weekly, and monthly reports on Swiss and international developments and trends that can affect markets, investments, and investment strategies. Credit Suisse analysts also provide their views and forecasts so you can gain insights for assessing your investments. As an added reporting bonus, analyses by Credit Suisse's Investment Committee give you a concentrated view of the markets and individual core asset classes (Investment Strategy & Risk). In which languages are Research publications available via Online Banking? Research publications in online and tablet banking are offered in German and English. Some are available in French, Italian, Spanish, Arabic, and Chinese. If the respective report is not available in your language, you will be shown the English version. How secure is the Credit Suisse Direct app? We make it a priority to provide the highest level of security for the development and use of all technologies and end user devices. Data transfer is protected by standard, current encryption methods. You can verify the server certificate during the login process (lock icon in the navigation bar). Once you have successfully logged in, the lock icon in the navigation bar shows you that you are in a secure environment. Is my app login data and/or app bank data saved by Apple or Google Apps? No, your personal data (if you are logged in) cannot be stored or saved by Apple or Google. Before users can download an official app, they must register in the store by providing their address. This means that Apple Inc. or Google Inc. knows when somebody downloads the Credit Suisse Direct app. This may imply the existence of a current, past, or potential business relationship between the user and a company of Credit Suisse Group AG. Does Credit Suisse create user movement profiles (site/locator)? No, Credit Suisse does not create movement profiles. Your device's location service is only used to show your nearby Credit Suisse locations. I already use Online Banking, what do I need to do in order to use the app? I received a login for online banking. Can I use the app now? Yes, you can log in to the system. Please note that you must have at least two devices to set up your login for SecureSign. I noticed that I can save my login credentials on my device. Is it safe? The information you store will be kept in a secure area of the Credit Suisse Direct App. Therefore, we suggest that you use PIN protection to secure the app. This makes it impossible for someone to open the app and use your user ID unless they know your PIN code. If you would like to save your user ID and password, PIN protection is mandatory. With Touch ID / fingerprint, you can easily use your fingerprint to log in securely once you have saved your login credentials on your device. I saved my login credentials on a device that I have since lost. What do I need to do? Please call our support team immediately to block your login credentials and to discuss what to do next. Be sure to report the loss of your smartphone to your mobile phone provider as well so that the SIM card can be blocked. I don't remember the PIN code that I set up for the app. What can I do? You can enter an incorrect PIN code more than once. After ten incorrect entries, the saved data will be deleted and the app will be reset. You can also delete the app and download it from the store again. Is there also a Credit Suisse Direct App for Windows Phone or other operating systems? The Credit Suisse Direct app is only available for iPhone/iPad (iOS) and for devices with the Android operating system. You can also log onto other operating systems from the browser. However, you need another mobile device to log in with SecureSign. When I tried to download the app, I got a message that it is not available in my country. What can I do? For legal reasons, we cannot make the Credit Suisse Direct available in all countries in the app stores. Please note that the Google Play Store uses any credit card or addresses on file for selection of the country store. If you have any problems or questions, please contact our support center. Can I download the app directly from your site? For security reasons, we distribute the Credit Suisse Direct app only via the official Apple and Google channels. Therefore, the app can be downloaded only from the respective app stores. Which security regulations do I need to observe and where can I find further information? Note: It is important that only an original device is used, which was bought from an official dealer, and that no apps have been downloaded from untrustworthy sources. Exercising caution when entering and/or registering mobile phone numbers anywhere on the internet (phishing pages). Always handling means of identification such as user ID, password, SMS code, etc. with care. Never clicking links in emails that ask you to provide confidential data (e.g. user ID, SMS code) (Credit Suisse will not request means of identification electronically). Being careful when opening SMS and MMS messages from unknown senders. Both of these types of message may contain harmful programs (e.g. Trojan horses) that can integrate themselves into your mobile phone. Regularly checking the movements in your accounts and safekeeping accounts. If you have any doubts, you must contact one of the Online & Mobile Banking support offices immediately. A QR code (QR stands for "quick response") consists of a matrix of black and white squares. It is easy for electronic devices to read, and can store any type of information. Smartphones and tablets have a built-in camera and are fitted with software that makes it easy to scan and interpret QR codes; their area of application is being continually expanded. Which payment types can be executed with the Credit Suisse Direct app? How do I scan orange payment slips? Good lighting conditions are essential for a quick scanning process. Are payments made in the Credit Suisse Direct app visible in Online Banking? Yes, all payments made in the Credit Suisse Direct app can also be accessed in Online Banking and processed as needed. What is a QR payment? Payments are possible to accounts at Credit Suisse and all bank accounts in Switzerland, provided the recipient's bank also offers QR payments. What is stored by the QR payment's QR code? 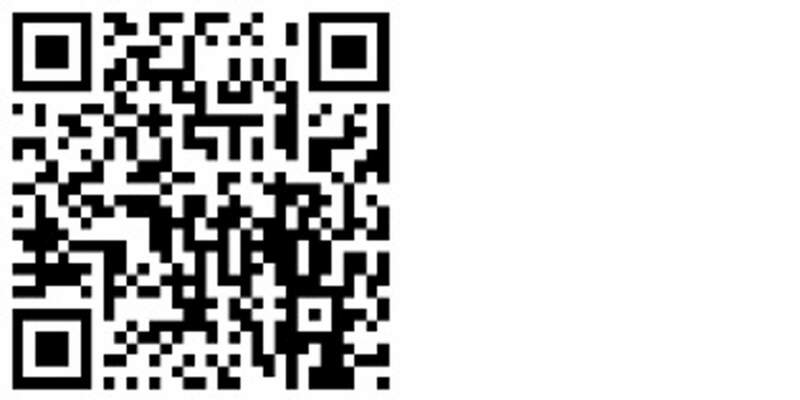 No further information about the sender and the recipient is contained in the QR code. You can configure the push notifications feature to have us send notifications to your smartphone and/or tablet. For instance, you can be notified of entries on your account or of new e-documents without having to log in.